Medusa has been resurrected and is gathering the underworld forces of darkness to fulfill her ambition. 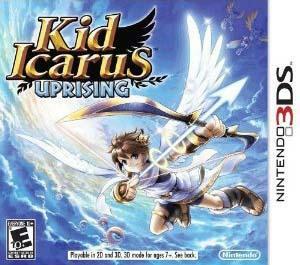 You play as an angel named Pit who is bestowed the power of flight from Palutena, the Goddess of Light. Repel the Medusa's underworld army with your choice of an array of weapons like: Blades, Claws, Bow, Cannon, Mace, Staff and others that you will discover along your journey. Multiplayer mode allows for competitive gameplay locally or over a wireless Internet connection. Its time for Medusa to meet the power of light and only you can guide Pit to victory!